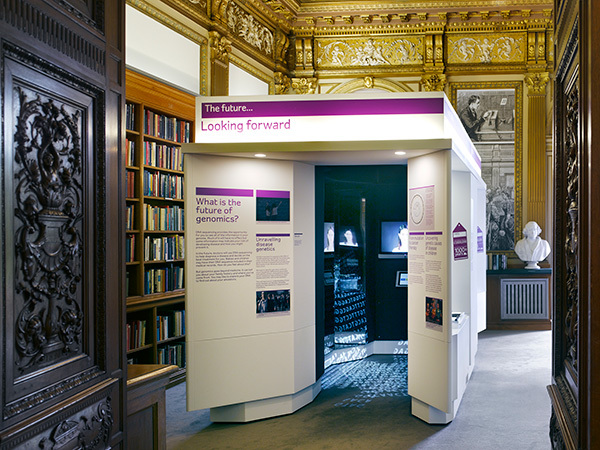 Our latest project opened this week at the Royal Society’s Summer Science Exhibition in London. 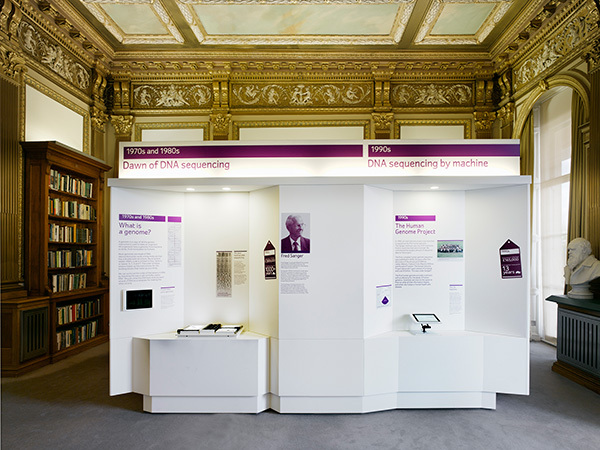 In partnership with Nick Coombe Architecture, we designed an exhibit for the Wellcome Trust Sanger Institute to show the huge advances made in genomic science over the past 30 years. The bespoke, multi-faceted structure is a series of alcoves and recesses on the outside, and a mirrored room on the inside. A timeline wraps around the outside, charting the technological advances in genome sequencing, and the interior addresses vistors directly, asking them to take a view of the future of genomics. The main contractors were Van Rooij + Griffiths, with graphic production by Albemarle Graphics and interactive elements by Machineshop Exhibitions. 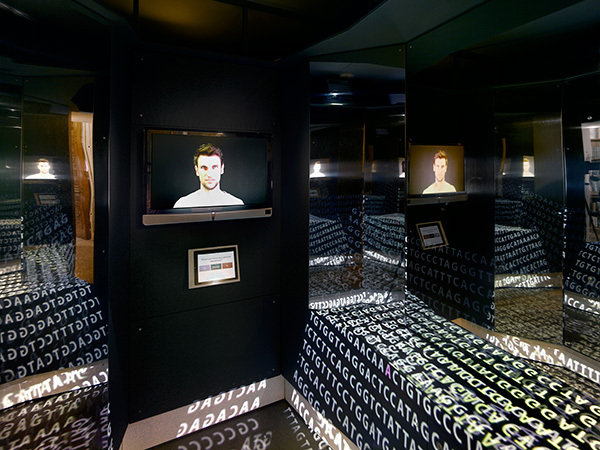 Following the exhibition at the Royal Society, the exhibit will move to the Wellcome Trust Genome Campus south of Cambridge to be a permanent installation.